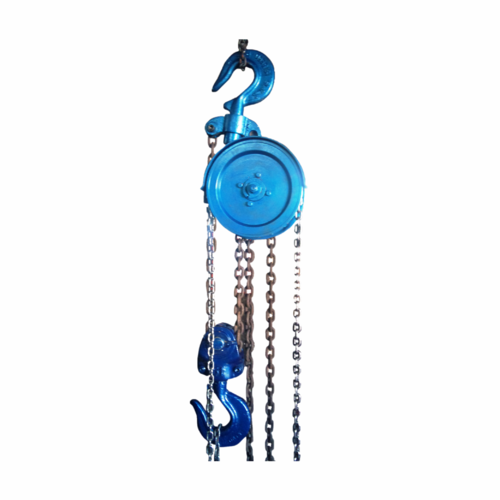 Manufacturer of a wide range of products which include chain pulley block. We are a prominent name in the industry widely appreciated for bringing the clients a wide assortment of Chain Pulley Blocks. The range is widely known to serve as a high performing material lifting equipment and is widely appreciated for its smooth & efficient operation, low maintenance, and high load-bearing capacity. Developed as per the international quality standards, the range can also be availed in tailor-made specifications depending on the requirement and expectation of the customers. Looking for “Chain Pulley Blocks”?